The School has a Motivation Hall with a number of trophies. The School has a well qualified resident Doctor assisted by a Nursing Assistant. Periodical medical check-up is conducted here. 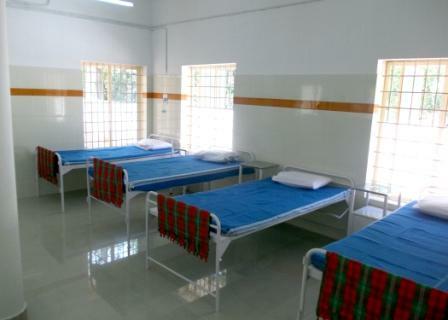 In the Infirmary there are 15 beds for the care of ailing students and an Isolation Ward. 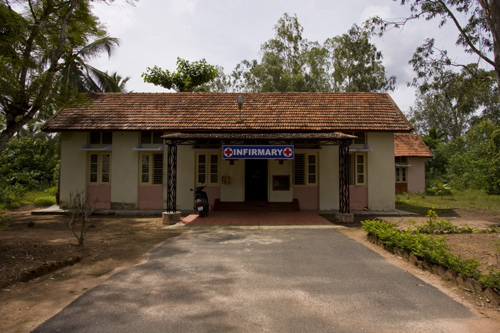 Cases of serious medical problems are referred to the Govt Medical College, Thiruvananthapuram. School runs a Canteen wherein all items of daily use are made available through Army Canteen Dept on comparatively cheaper rate. The School also runs a Cafeteria which opens on every evening to cater tea and snacks for the students and visiting parents. 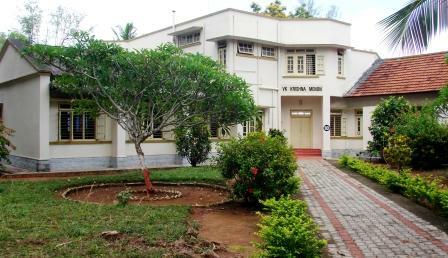 The School has eleven Dormitories for facilitating the Students. Two Holding houses for class VI Students. Three Sub junior Houses accommodate students of Classes VII & VIII, three Junior houses for the Students of Classes IX & X and three Senior houses for classes XI & XII. Each house has a strength of 50—60 students. The Students are grouped according to their age. Inorder to provide role models and a family atmosphere, each house is led by a House master who is a member of the faculty. Actively supporting the Housemasters are the Attached masters and the Matrons. 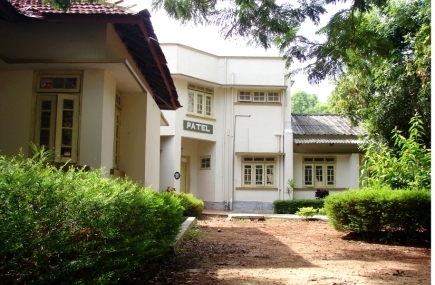 The Dormitories are provided with a color Television set but only limited exposure is given to the students. 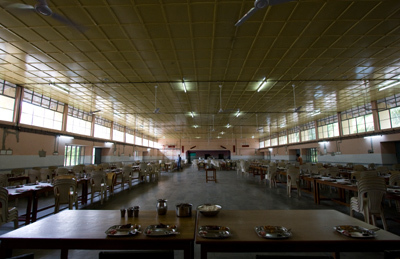 A full fledged Mess which provides hot meals to the Cadets. 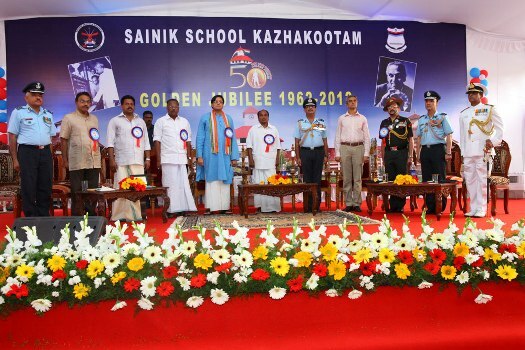 It is a spacious Dining Hall which can accommodate 600 cadets. It has all modern gadgets for preparation of hygienic and wholesome meals for both vegetarians and non-vegetarians. A Mess Committee with representatives of the Staff and Cadets as members meet regularly to improve the menu and the standard of the Mess. 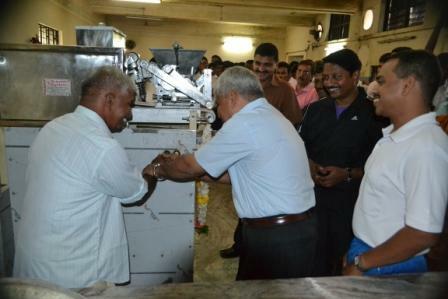 Besides the above facilities there are also other facilities to facilitate the students such as the Barber Shop, Cobbler Shop, Tailor Shop and a fully automated Dhobi yard. There is also a PCO which opens at 1500hrs everyday and the Students are allowed to go to the PCO and utilise this public facility. 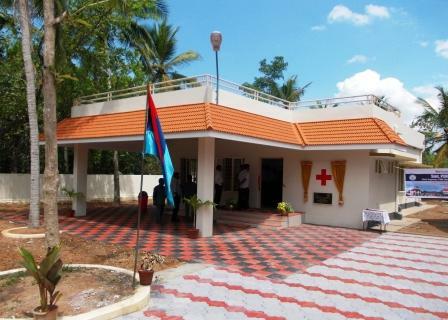 A Branch of the Central Bank of India, Kaniyapuram, and a Sub Post Office is located in the School.